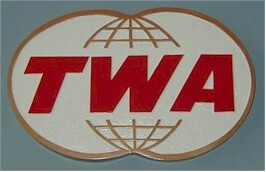 TWA was always my favorite airline, even though, no matter where I went, I had to change planes in St. Louis! First commercial airline flight I ever took was on TWA, from Philadelphia to Pittsburgh back in the spring of 1956, to interview for a job. I should add that I got the job.